December 26, 2015 Written by Randy F.
The 11th Step Meditation Journey consists of many different facets that combine over time and practice to become your spiritual path towards that Conscious Contact that the 11th Step seeks. We encourage you to use the tools suggested on this site to assist you in learning meditation and developing our 11th Step practice. This journey, is your journey, we cannot do it for you! But we can, and have tried, to provide you with the tools, the information, the encouragement and a special place to explore and experience this. Let’s begin by working Step One and realizing that we are powerless over the holidays and that at times it will seem unmanageable. In meditation, the roots of my unmanageability are that my thoughts and emotions are unmanageable and I am powerless over them. This is, also, the First Step in learning and practicing meditation. We can practice this 11th Step meditation to help create a sane and serene holiday time of year! This 3 Step Meditation will help to re-center and re-focus your thoughts and emotions to connect with your Higher Power. You can do this at home in the morning, sitting in your car at lunch, or anywhere that you can sit for 10-15 minutes. Step One – Sit comfortably and close your eyes. Spend several minutes just listening to your breath. We breathe everyday, but never pay attention to it. Notice how your body moves in rhythm with your breathing. As you hear sounds or have thoughts, simply notice them, but do not reach out and grab them or attach any emotion to them. Each time you exhale, let go of your stress and tension and feel yourself becoming more relaxed. Now use this affirmation as a mantra with your breathing….as you inhale, think to your self, “I relax” and as you exhale, think to yourself, “I let go.” “I relax” and “I let go.” “I relax” and “I let go.” Repeat this over and over for several minutes. As you find yourself getting distracted, re-center your meditation by pulling your focus back onto your breath. Step Two – Change your affirmation to “I let go” with the inhale and “I let God” with your exhale. “I let go” and “I let God.” “I let go” and “I let God.” You may substitute the word “love” for “God” if you wish. Repeat this for several minutes. Now try to visualize your stress and tension falling from your mind and your shoulders as you remember that you are not alone, that you have others to support you and that you have an inner connection to your Higher Power that is always present. Step Three – Our next affirmation is “Love” on the inhale and “in action” on the exhale. “Love” “in action.” “Love” “in action.” “Love” “in action.” Repeat this for several minutes. It is not easy to know what God’s will is, but I have found that if I always express love, compassion and kindness in any situation, then I am probably following my Higher Powers will. Continue the affirmation while visualizing people or circumstances in your live. Imagine that you are surrounding them with a cloud of white, healing loving energy. Do this for as long as you wish. Slowly end your meditation by returning your attention back to your body and the area where you are sitting. Science tells us that you have just increased your flow of endorphins, reduced your blood pressure, relaxed your body and calmed your emotions. Not bad for free and in just a few minutes! 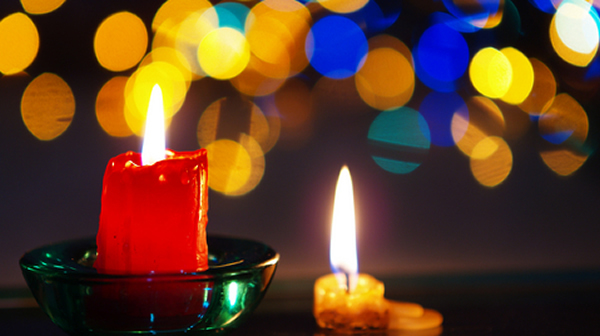 Try the Holiday Mini-Meditation! Remember that the goal of Step Eleven is “to improve our conscious contact with God, as we understood Him.” I also need to continue reconnecting to my Higher Power throughout the day. Use a quick 3 Step Mini-Meditation anytime, while standing in the check-out at the store, sitting at my desk at work, anytime through the day. Practice detaching from your frustrations and resents of the moment by listening to your breath, focusing on the affirmations and connecting to your Higher Power. Meditation can be a powerful friend this holiday season and throughout the year. Practice this simple spiritual exercise to help build a spiritual connection and foundation for emotional sobriety. Hope you have a serene, loving holiday season!